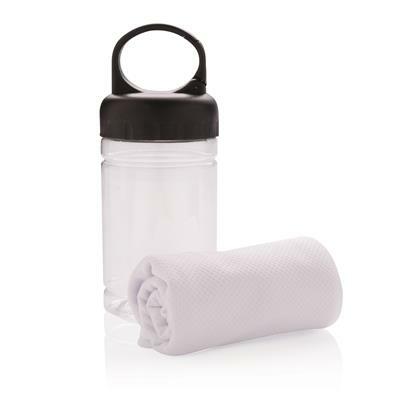 Microfibre cooling towel 100% free of chemicals. 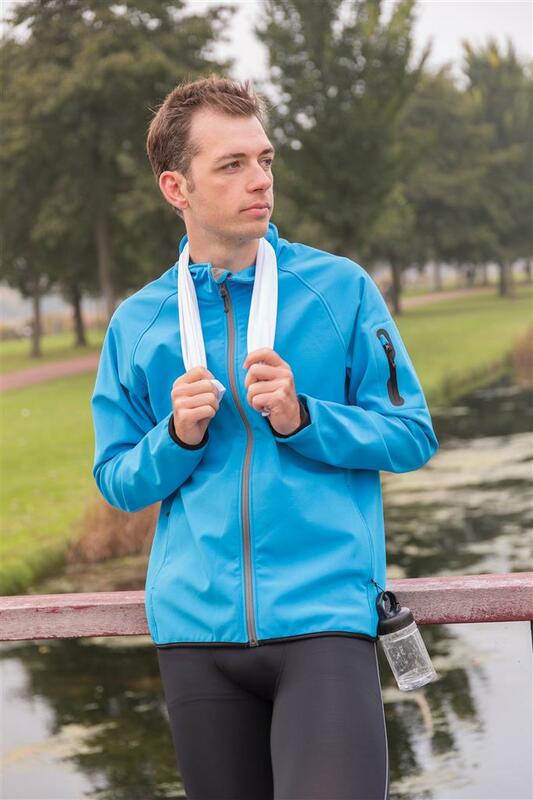 98% sun blocking function up to UV 50+ protection. The towel can be easily used by adding some cold water to the bottle creating a cool towel for fast refreshment. 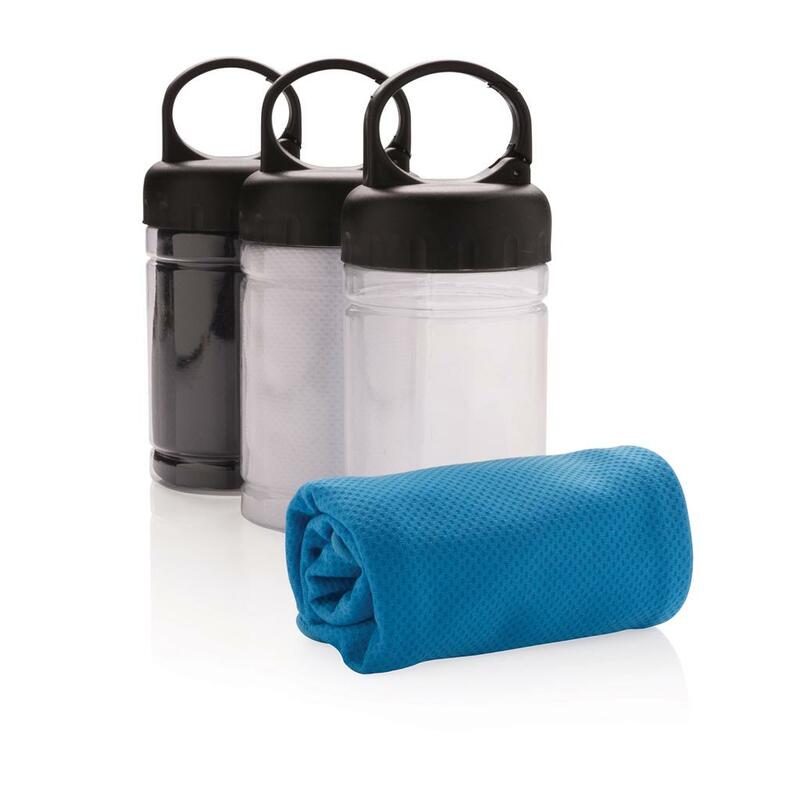 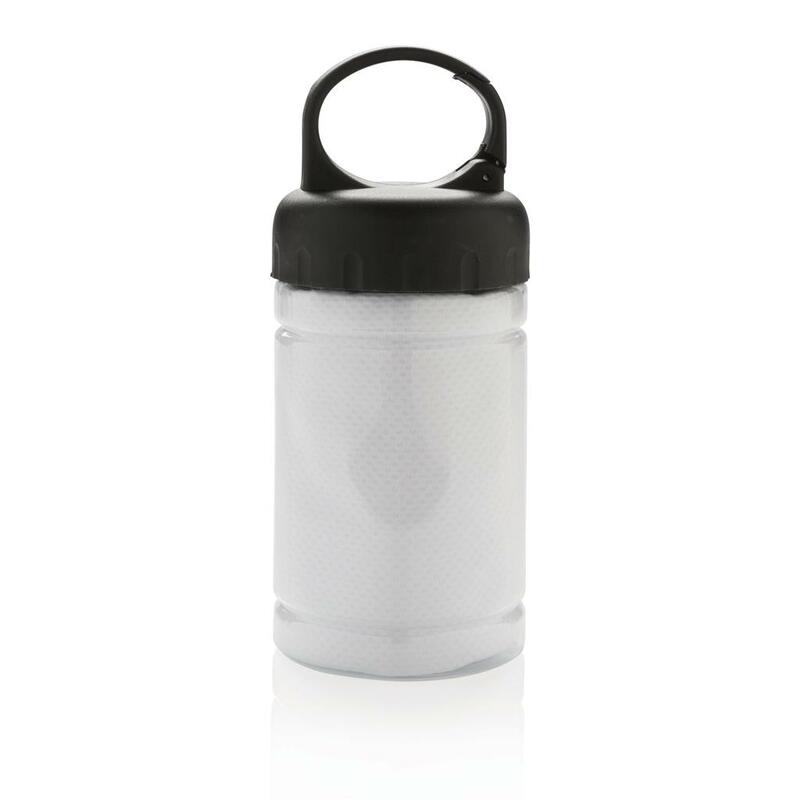 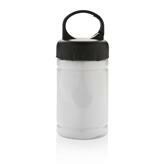 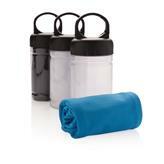 The bottle is made out of PP with ABS top and carabiner to take along on outdoor activities.